3D illustration. 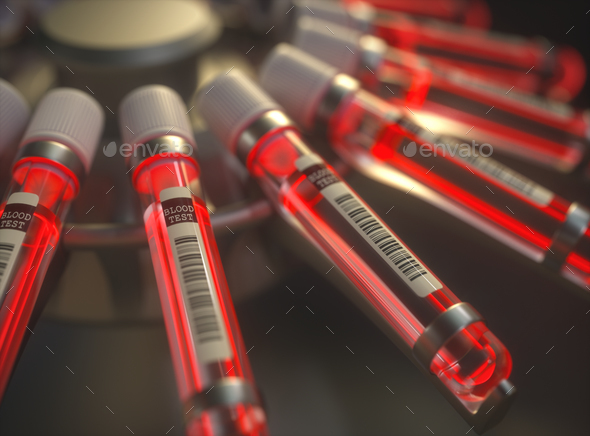 Centrifuge blood machine. Chemical test, bright red liquid inside the test tubes.